Sign up and receive Property Email Alerts of Apartment Blocks for sale in Menlyn, Pretoria East. Menlyn Link has 26 floors above ground. There is Retail on the Ground Floor which relates directly to Lois Avenue, and is across the road from Menlyn Park Shopping Centre. It was important to enhance pedestrian activity on the ground, and to achieve this it was pay special attention to human scale elements. There is a colonnade running along the Lois Avenue interface, with modern glass boxes cantilevering out over the drop off zone and plaza, as well as trees, shrubs, hard landscaping features and ever changing sculptures to scale the building down at street level. We are targeting specialist retailers to compliment the needs of residents and office users of the building, as well as the public. Above Ground Level there are vertical columns pushing upwards at regular intervals to draw the eye to the office levels on the 5th and 6th floors - a trick used to disguise the three levels of parking between the retail and office levels. The office levels punch out in a bold wrapping box-like form which creates a 'cap' at the top of the podium before the residential levels begin. The residential accommodation comprises two towers rising out of the podium. Between these two towers is park-like courtyard with planting boxes, timber decking and lawn interspersed with paving creating a safe, relaxed atmosphere. Also on the podium level is a creche which is intended to serve the building, as well as the public which will have private, secure access. Children will have ample area to play outside without disturbing the building's residents in the floors above. The design of the residential towers is a product of the unusual apartment type mix in the development. We placed the duplex units at the ends of the towers to allow for large double volume windows which will create grand living spaces internally, but also contribute a dynamic play of angles and lines on the design. The interiors of the apartments will have a modern industrial feel with feature facebrick walls, exposed concrete ceilings and black can downlighers with timber finish vinyl flooring to create inviting living spaces with ample opportunity for end users to put their personal touches on. The roof of Menlyn Link is definitely the show-stopper. 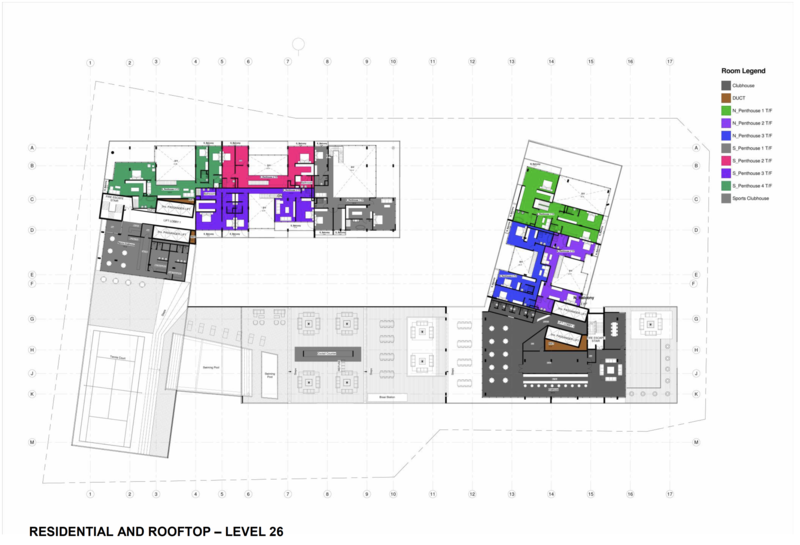 As there are two towers, there were two clubhouse opportunities in the design stage, with residents from each tower needing to have access to both of them with ease. To link the two towers at roof level, we are spanning a glass bottomed, rim flow swimming pool between them with sweeping 180degree views of Menlyn Maine and surrounding suburbs. There is a gym and tennis court for residents on the south tower, and a more vibey public bar on the north tower which will be the ultimate Friday afternoon drinks venue in Menlyn. To top it off, there will be a helipad on the roof of the clubhouse on the north tower. 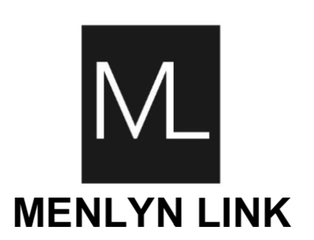 Menlyn Link is a pure mixed-use building in the heart of a rapidly developing node. Its relationship with the street is inviting to the public whilst access to the residential and office areas maintains their privacy. 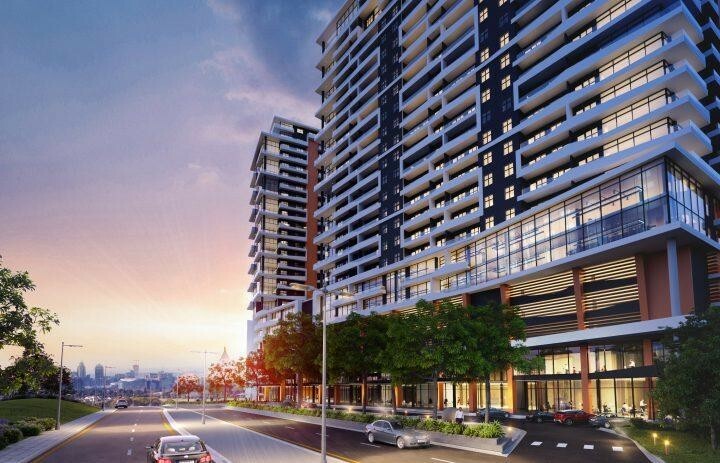 It is set to be one of the tallest structures in Menlyn, and with that it will be a dynamic addition to the ever changing skyline of the area. Sign-up and receive Property Email Alerts of Apartment Blocks for sale in Menlyn, Pretoria East.